Probably my least favourite Chemical Brothers album but this track is excellent. Can't find much info about this track or artist but I love it. 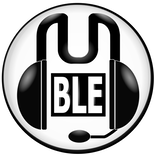 I can't express in words how brilliant this is, so emotes will have to suffice. That video is creepy as strawberry float. I still love this 25 years on, that last verse is rap perfection. Still the GOAT movie soundtrack. Squinty, you are a man of excellent taste and culture. "Me Grimlock not nice dino, me mash brains!" Last edited by Ironhide on Mon Jan 28, 2019 8:27 pm, edited 2 times in total. Ironhide wrote: Squinty, you are a man of excellent taste and culture. I think it sounds like the inspiration for Daft Punk's Discovery album. Just Once by James Ingram, RIP Sir. Life is really too short that we got to live every moment that we have. Went to see Hayley Kiyoko in Glasgow at the weekend. I was introduced to Naaz, who did an awesome support.